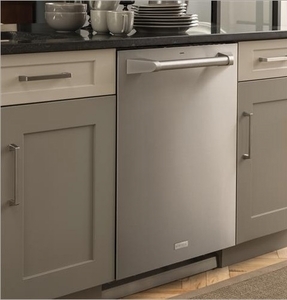 When you buy qualifying Monogram Appliances. 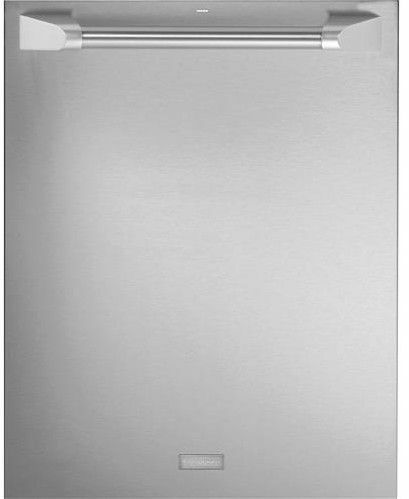 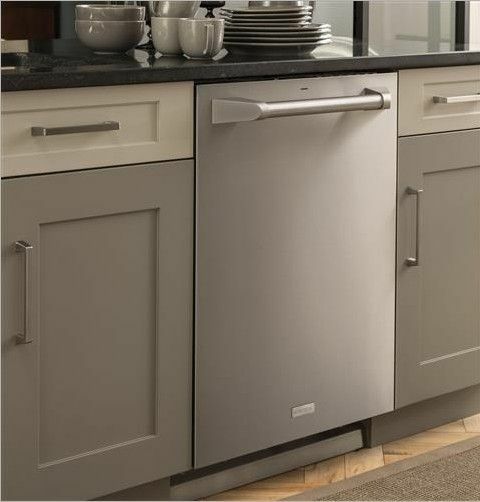 This fully integrated dishwasher by Monogram offers 16 place settings and a quiet 39 dBA sound level to keep noise level down to prevent being disruptive. 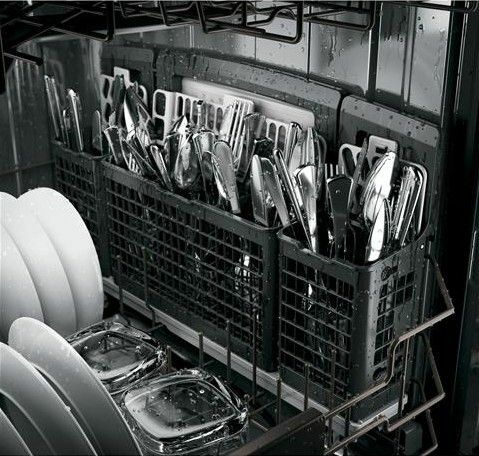 Equipped with over 140 cleaning water jets for complete coverage of every corner of your dishwasher, getting into hard to reach areas like bottles and powerful enough for deep cleaning to blast way hard-stuck food. 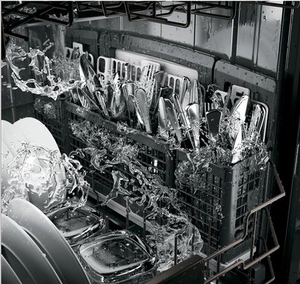 Powerful jets blast away stuck-on food for silverware thats always spotless. 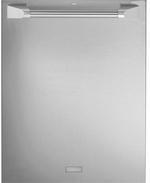 A dishwasher this quiet has a status indicator to tell you if the dishwasher is Washing, Drying or Clean.